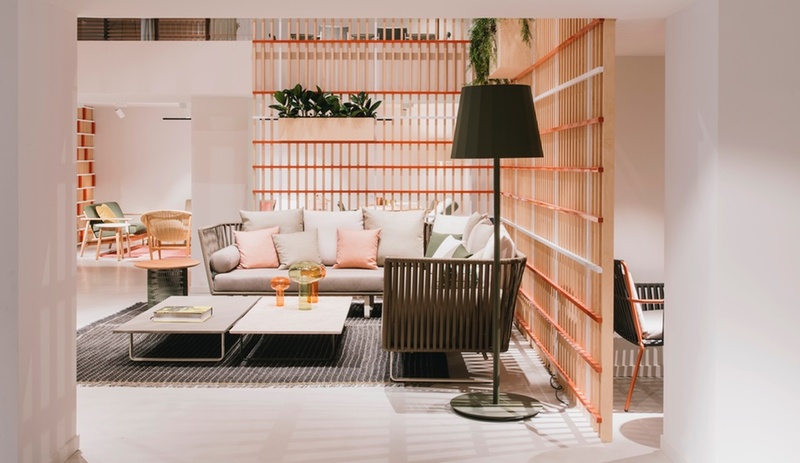 Kettal and Patricia Urquiola are old friends, with Urquiola having designed several pieces for the Spanish manufacturer in the last decade or so, including the Maia collection of seating and the Cottage outdoor daybed. 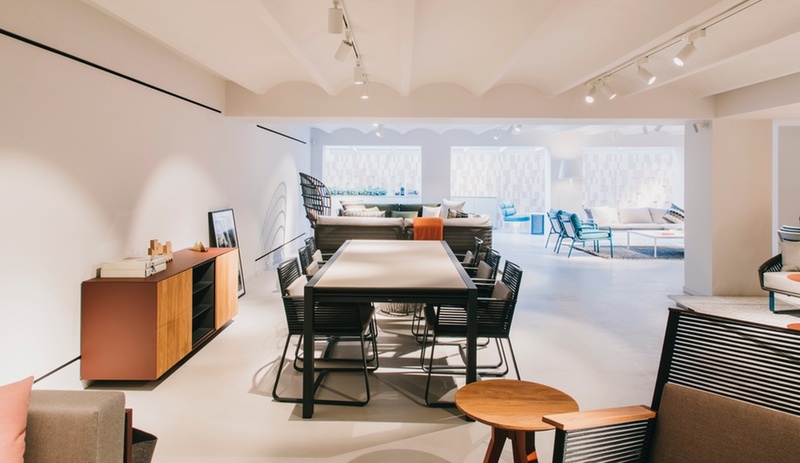 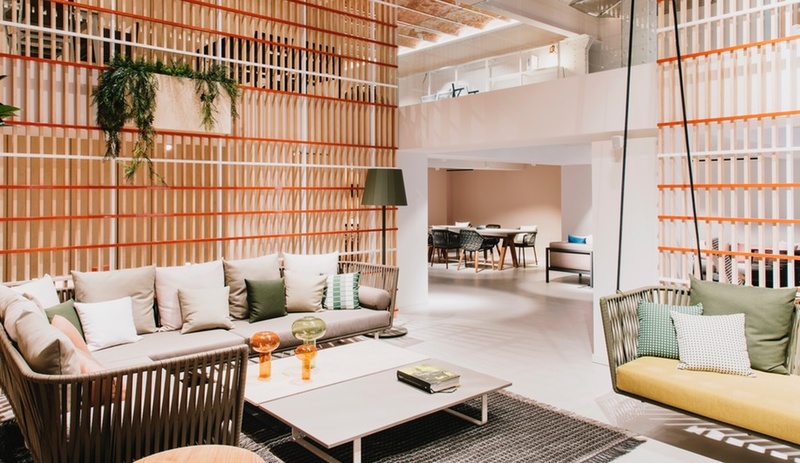 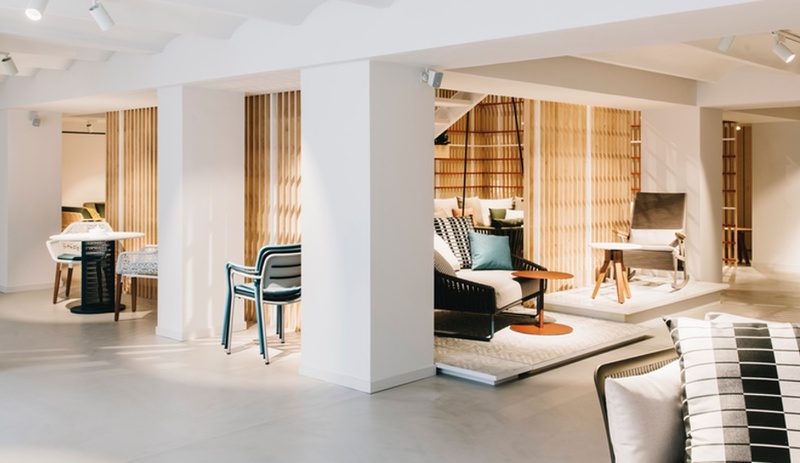 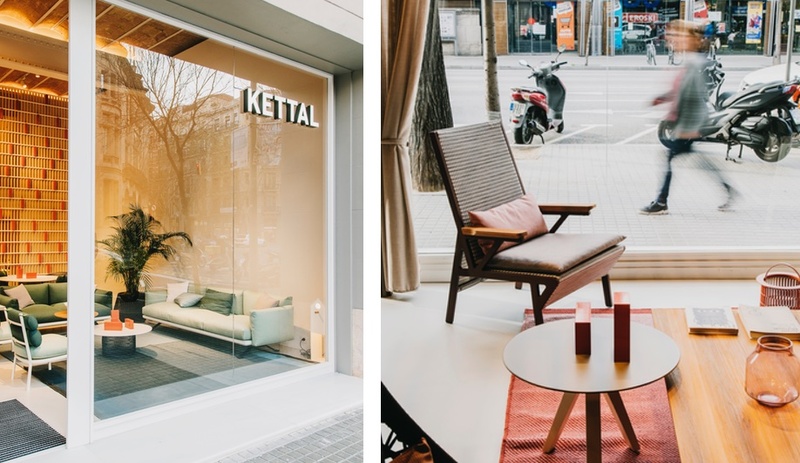 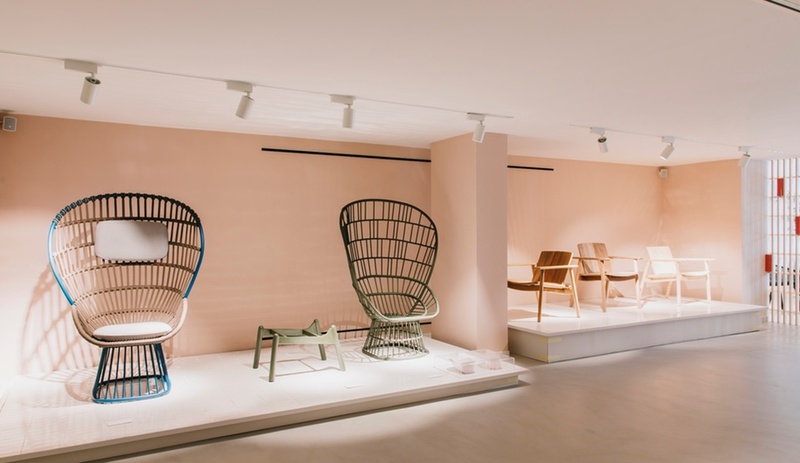 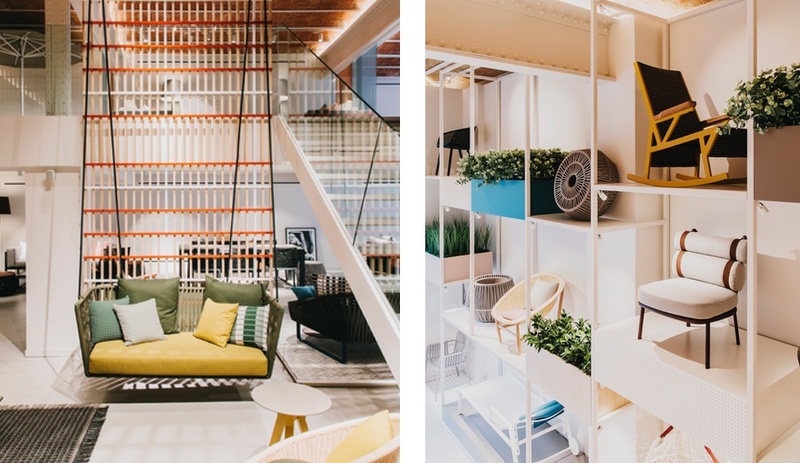 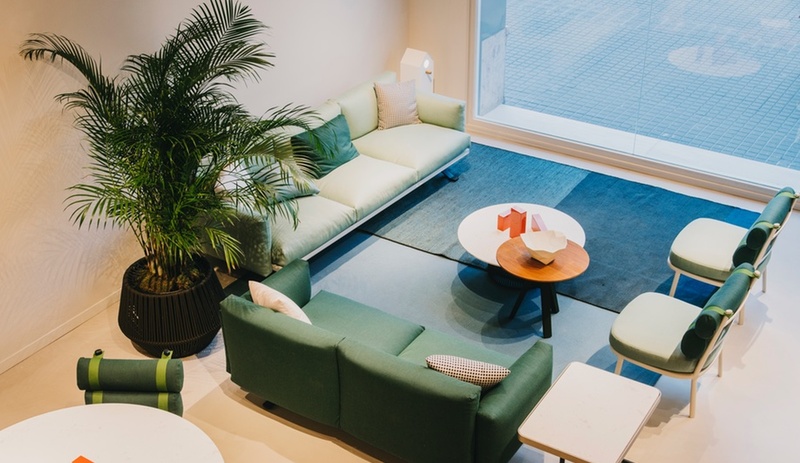 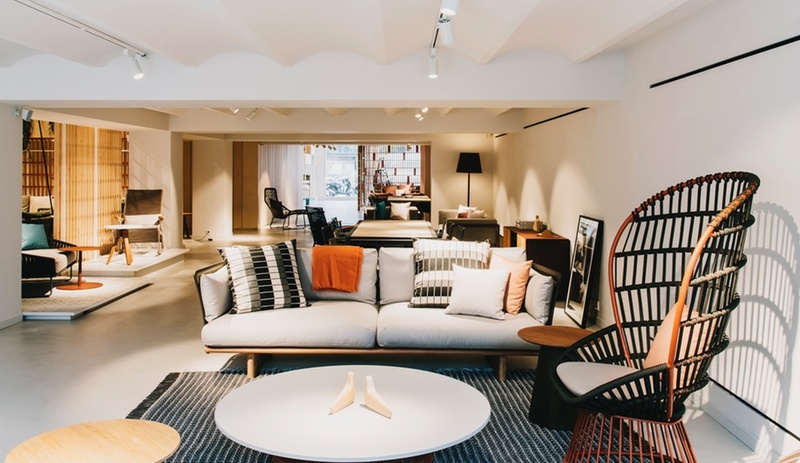 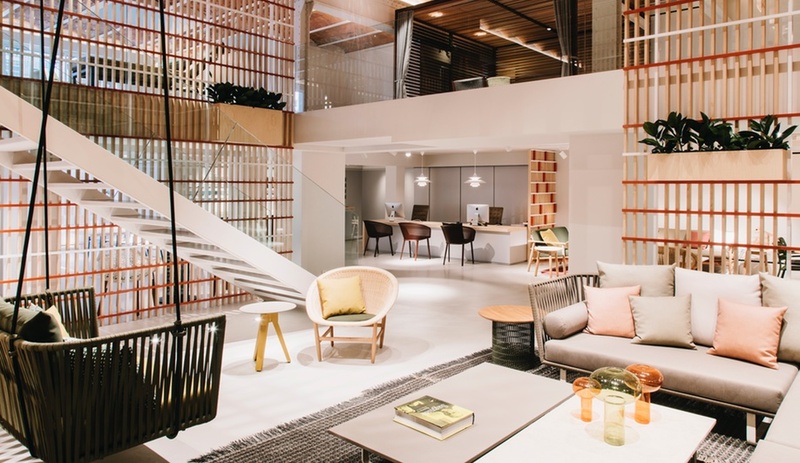 Most recently, Kettal tapped the designer to revamp its central Barcelona showroom. 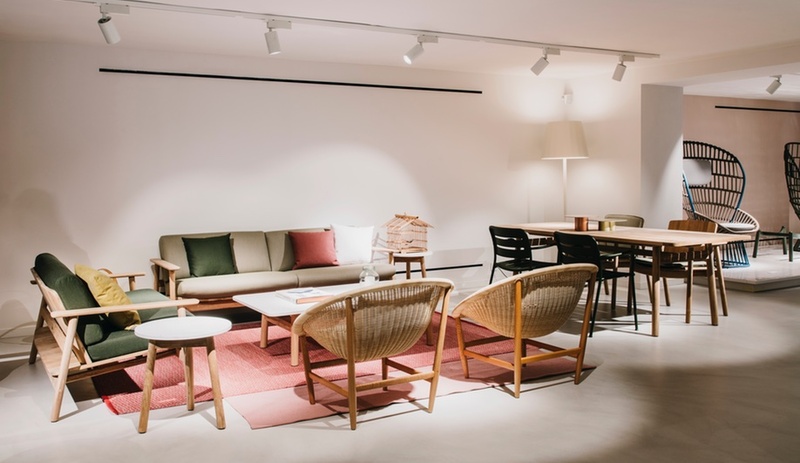 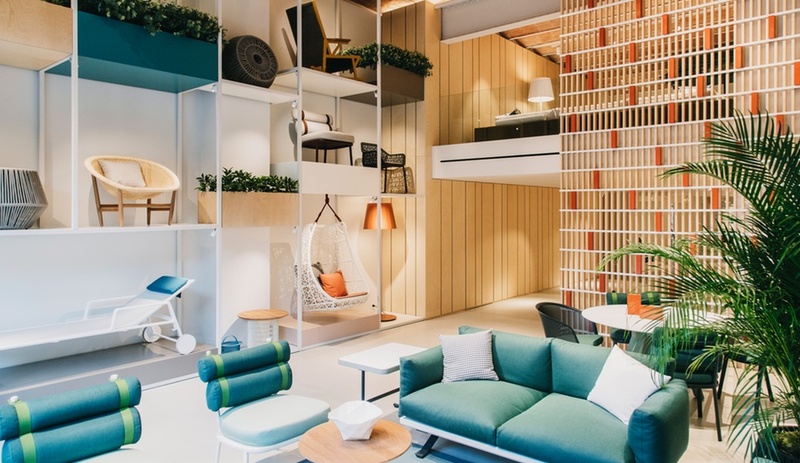 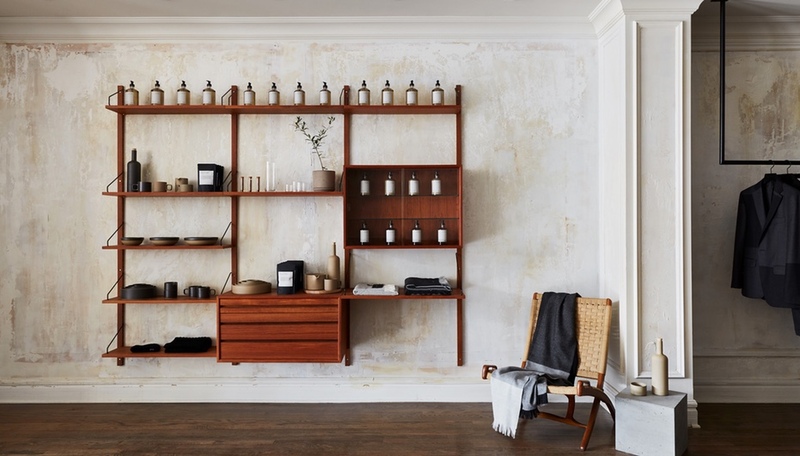 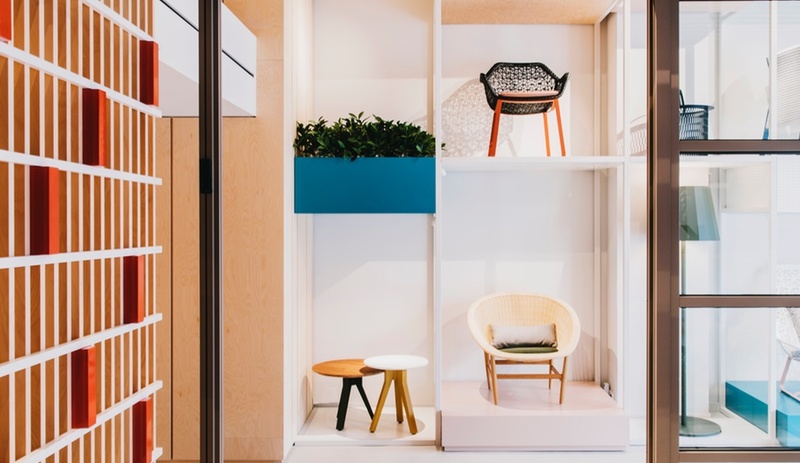 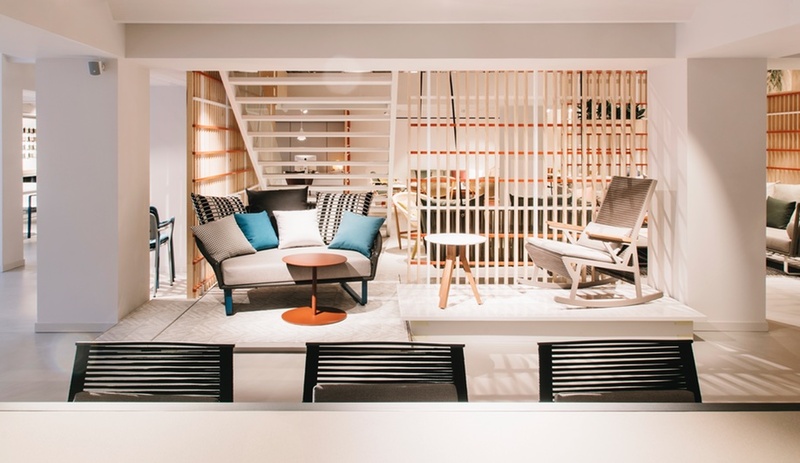 The made-over space, which opened in March, is an expression of both the Kettal brand and Urquiola’s signature use of simple, geometric patterns and layered colours. 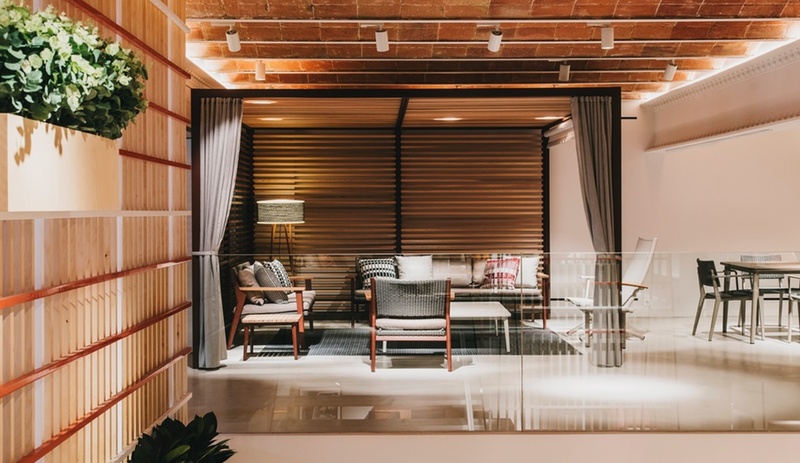 It’s “a space where the Mediterranean outdoor living is celebrated,” the manufacturer says. 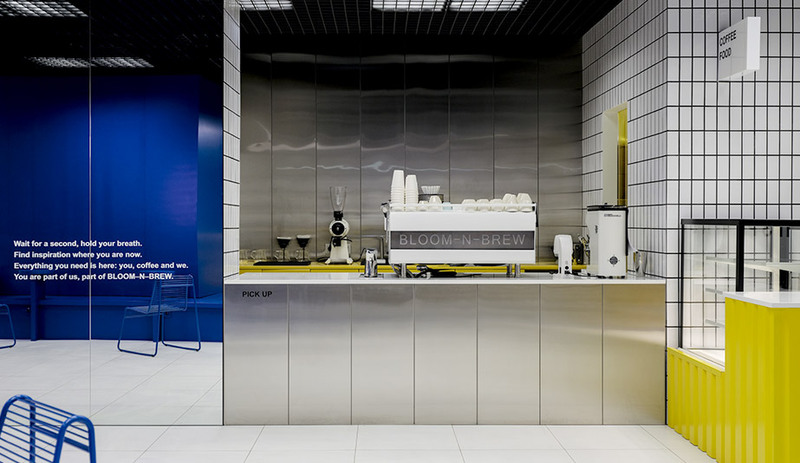 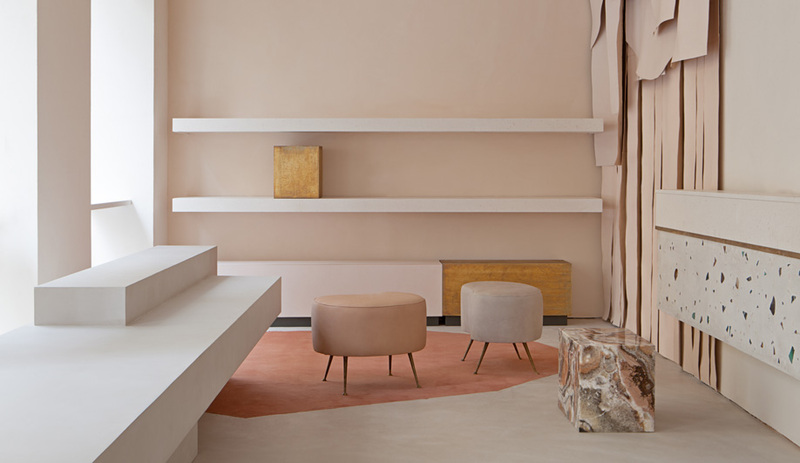 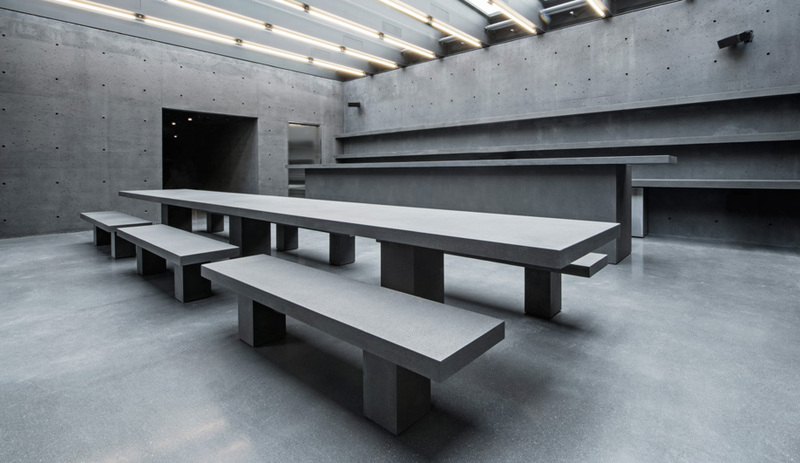 To unify the 956-square-metre, double-height showroom, Urquiola inserted rectangular boxes to serve as displays and exhibition spaces. 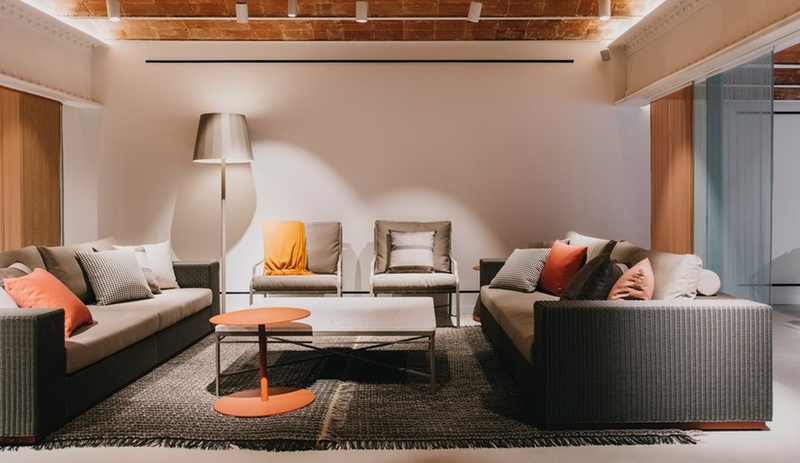 The original brick vaults of the ceiling were maintained, in effort to emphasize the Spanish architecture, and other traditional decorative elements, like colourful ceramic tiles, were introduced. 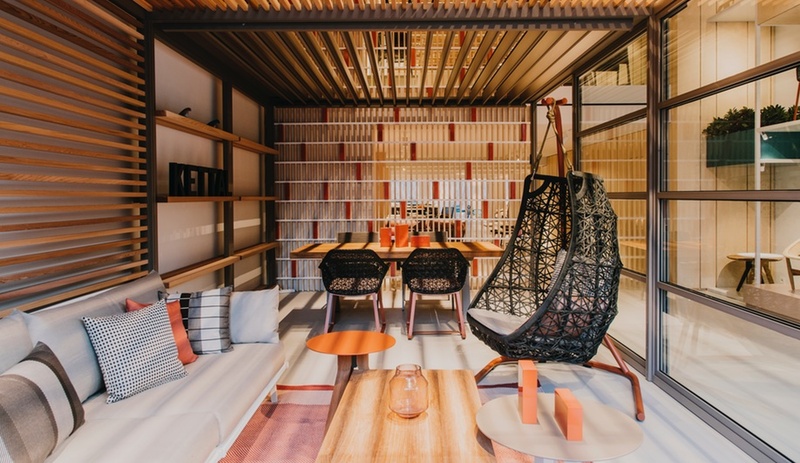 Grid-like wood partition walls, with bright orange elements that form a rectangular pattern, help further divide the space. 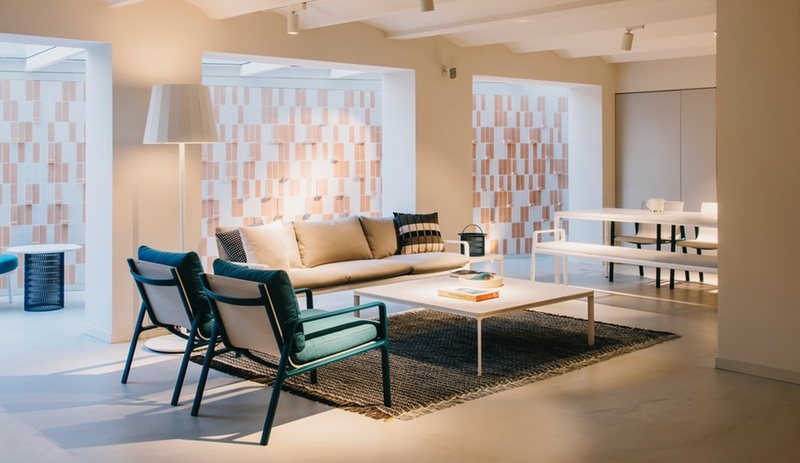 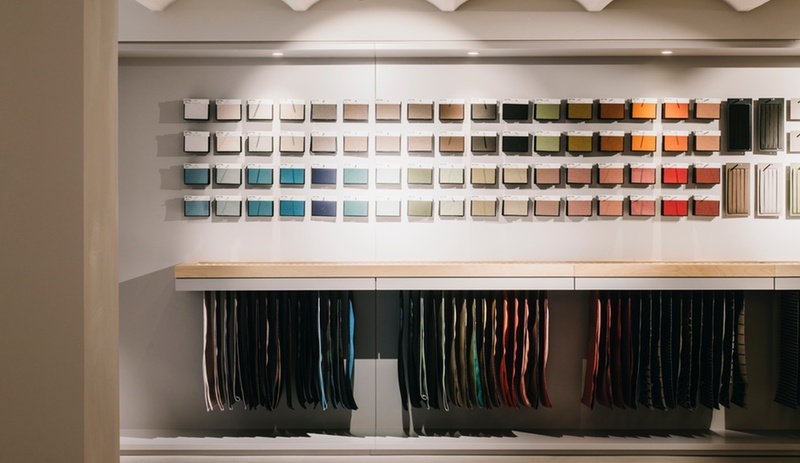 This “rectangular pattern, in various scales and modes, is distributed throughout the whole showroom, making evident the touch of Studio Urquiola while adding colour, texture and the element of playfulness, creating a space to match with Kettal’s identity,” the company says. 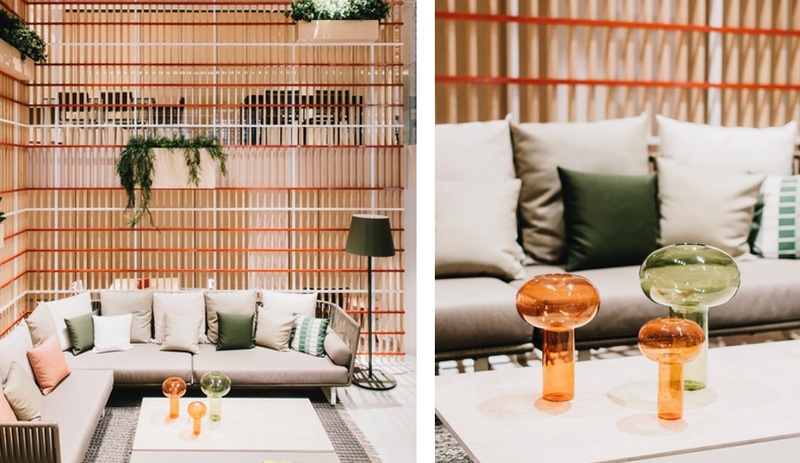 The entirety of Kettal’s collections are on display here, organized by hue and assembled like outdoor lifestyle tableaus.